Justice, unfortunately, is also often absent. In the same three-year period, only 59 perpetrators were incarcerated. Often, according to psychologist Ligia Gomez, this is the result of many women fearing to come forward to report within a machista society, or fearing how they will support their children without the financial support from their husbands. Also, healthcare professionals aren’t always properly trained on noticing and reporting signs of violence against women (Johnson 2018). However, femicide and domestic violence, while being the best-known forms of cruelty towards women, are not the only challenges women across Latin America face. Obstetric violence, while not often reported in mainstream media, is one of the leading problems in the region. Obstetric violence legally refers to the “disrespectful and abusive treatment that women may experience from healthcare providers during pregnancy, childbirth and the postpartum period, as well as other elements of poor quality care, such as failure to adhere to evidence-based best practices.” This definition was the product of a joint effort between women’s groups, feminists, international and regional institutions and public health agents and researchers in Latin America with the goal of improving care for women. Each country has also developed its own working definition of the term, as well; in Mexico, obstetric violence envelopes ‘all actions or omissions by medical and health professionals that damages, harms, denigrates or causes the death of the women during pregnancy, birth and the postpartum period’ (Williams, Jerez, Correa & Cormick 2018). Many first became aware of obstetric following the 2014 coverage of “Las 17” in El Salvador, 17 women who suffered obstetric emergencies and were convicted of homicide, following allegations that they had performed illegal abortions (Center for Reproductive Rights 2017). One of the women, Teodora, was released just last year after having been arrested in 2008 for aggravated homicide after having a miscarriage. From her experiences, though, Teodora is now an activist for reproductive rights in her country, hoping to bring justice to the rest of the women wrongly convicted and to shed light on the inequality of opportunities for reproductive care (García 2018). As Teodora told El País, El Salvador’s strict abortion laws are especially unfair on poorer women. With money, she said, women can go to Cuba or Mexico to abort in private clinics that do not report, a luxury not available to the lower classes (García 2018). This trend reportedly extends beyond El Salvador, with richer women being able to afford not only safe abortions or alternatives for birth control, but also better prenatal care and delivery support. In Mexico, money is not used only as a source of leverage to skirt the legal implications surrounding abortion, but also to gain access to private clinics that offer more personal care during birth. One national survey, ENDIREH, reported that last year 33.4 percent of women aged 15 to 49 had suffered obstetric violence between 2011 and 2016 (Bellante 2017). The realities of such obstetric violence are apparent in the public hospitals of Tijuana, where women in labor are placed in rooms with as many as 19 other women, depending on how busy the hospital is. After being taken to what is referred to as an “expulsion room” and then being ushered to the “post-birth” room, women have six hours before being discharged from the hospital, given that there are no complications, actions which the World Health Organization (WHO) has called “abusive” and “dehumanising”. Nationwide, women who give birth in public hospitals are not permitted to bring anyone, including family members, with them while giving birth (Bellante 2017). 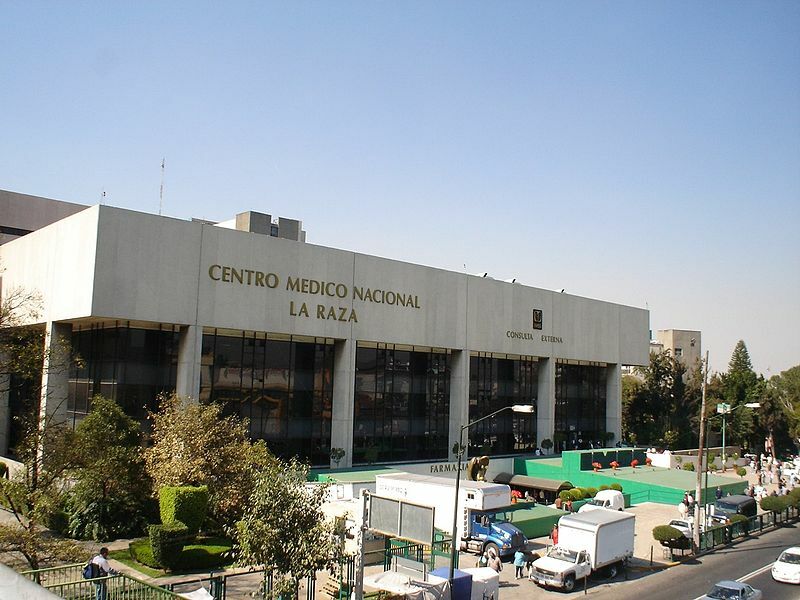 Given the impersonal and overcrowded nature of many public hospitals, many Mexican women with the means have opted to seek out various alternatives. The first comes in the form of midwives, with women giving birth in their homes. Many other women opt for the comforts that come with pricey clinics. However, as Al Jazeera reports, many of these private clinics frequently persuade women to have unnecessary cesarean sections (c-sections) in order to increase the cost of their services. The 2016 ENDIREH survey found that of 3.7 million Mexican women that had a c-section, 10.3 percent were not informed of the reason it was being performed. Of the respondents, an additional 9.7 percent said that their health provider did not ask for their permission before performing the c-section. Mexico now has one of the highest cesarean birth rates in the world at 45 percent, three times the rate recommended by the WHO (Bellante 2017). However, the trend is not isolated to Mexico. As of 2015, the average rate of cesarean sections in Latin America and the Caribbean reached 44.3 percent. As a point of comparison, in West and Central African regions utilized c-sections in just 4.1 percent of births, and in the United States, c-sections were used in a little less than a third of all births (The Lancet 2018). Johnson, Sarah. 2018. “Can health workers stop thousands of women being killed in Guatemala?” 7 March. The Guardian. Available to read here: https://www.theguardian.com/healthcare-network/2018/mar/07/health-workers-stop-thousand-women-killed-guatemala-femicide [Accessed 5 December 2018]. Center for Reproductive Rights. 2017. “Woman Wrongfully Imprisoned After Obstetric Emergency Is Denied Freedom.” 13 December. Center for Reproductive Rights. Available to read here: https://www.reproductiverights.org/press-room/woman-wrongfully-imprisoned-after-obstetric-emergency-is-denied-freedom [Accessed 5 December 2018]. García, Jesús. 2018. “Teodora y ‘las 17’ de El Salvador: cuando abortar es el peor crimen.” 12 April. El País. Available to read here: https://elpais.com/ccaa/2018/04/11/catalunya/1523470806_050152.html [Accessed 5 December 2018]. Williams, CR; Jerez, C; Klein, K; Correa, M; Belizán, JM; Cormick, G. 2018. “Obstetric violence: a Latin American legal response to mistreatment during childbirth.” 4 May. Obstetrics & Gynaecology. Available to read here: https://obgyn.onlinelibrary.wiley.com/doi/full/10.1111/1471-0528.15270 [Accessed 5 December 2018]. Bellante, Claudia. 2017. “The midwives helping women on the US-Mexico border.” 3 December. Al Jazeera. Available to read here: https://www.aljazeera.com/indepth/features/2017/09/midwives-helping-women-mexico-border-170906090026379.html [Accessed 5 December 2018]. The Lancet. 2018. “Global epidemiology of use of and disparities in caesarean sections.” October. CNN. Available to read here: https://www.cnn.com/2018/10/11/health/c-section-rates-study-parenting-without-borders-intl/index.html [Accessed 5 December 2018].